The simple construction of this multi-purpose temperature sensor makes it economical, easy and efficient to use. Operating temperatures are limited by the temperature resistance of the cable. 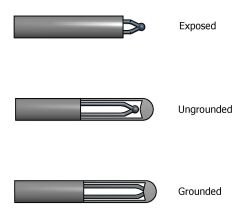 They may be contructed with one or two sensing elements depending on the applications : regulation, monitoring, data saving.....Different ways of setting up are possible: with fixed or adjustable fittings, compression spring to ensure contact with the measure taking area. 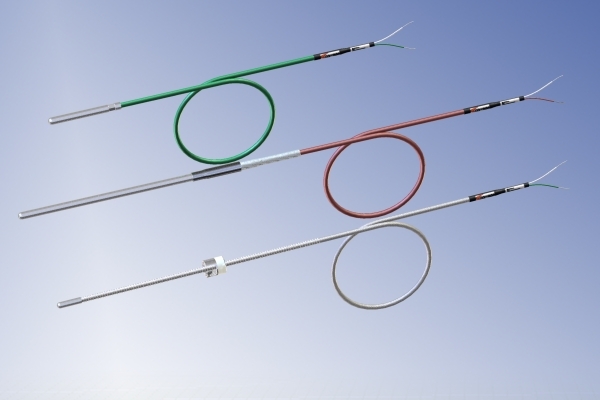 The type of cable and the material used for the encapsulation are the key elements that define the sensor performances such as tensile strength, resistance to vibrations, resistance to the operating conditions. - the working conditions of the sensor.